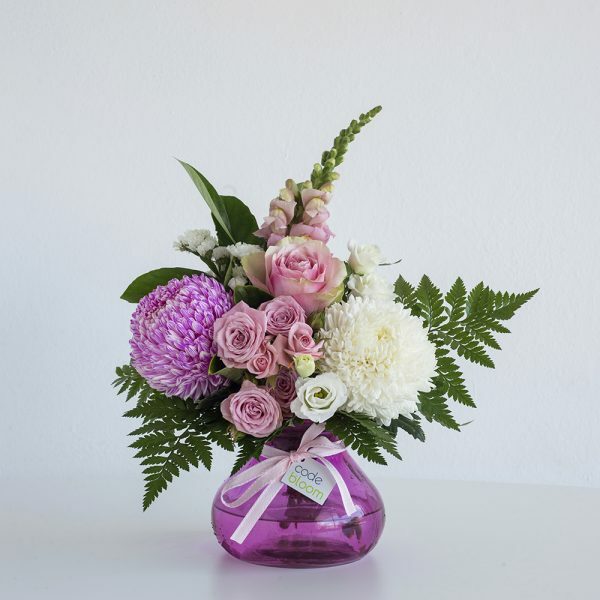 Gorgeous pink posy jar with seasonal pink blooms. A perfect way to welcome a new baby girl or a lovely romantic option. Our florists will pick the best pink and white blooms and arrange them with greenery to suit into a pink posy jar.